Borgata/bwin.party clearly entered the market well prepared for the November launch, and their early 40% market share is reflective of this. In the following months, they have maintained their prominence as one of the top online gaming destinations in the Garden State. The Borgata Hotel Casino and Spa, one of Atlantic City’s most prestigious properties, was founded in 2003. The casino-hotel is a joint venture between Boyd Gaming and MGM Resorts International. So, does the Borgata online casino deliver a premium experience? Do they have the staying power needed to keep them at the head of the New Jersey pack, or will they fade fast in the face of stiff competition? To get to the root of these issues and more, let’s take a closer look at what BorgataCasino.com has to offer. BorgataCasino.com gives you two ways to get started. They offer both the option to download their games software, or to access the Borgata online gaming experience with their ‘Play in Browser’ mode. The minimum system requirements for the Download version are Windows 2000/XP/Vista or 7, and 256MB RAM. Alternatively, if you opt for the browser-based variety, providing you have a stable Internet connection, you’ll have instant access to their virtual games suite with no wait time. If you’re on the hunt for a wide collection of online Slots, jackpots, and table games, then BorgataCasino.com spreads one of the best in New Jersey. A range of traditional games such as Blackjack and Roulette dominate the table games section, while the Slots Lobby is bursting with new and thrilling ways to spin the reels. 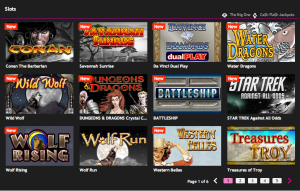 The games on offer are a combination of titles supplied directly by bwin.party, as well as a range of popular online casino games from software providers Amaya, and IGT. 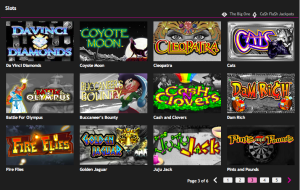 You will currently find an impressive suite of 83 games at BorgataCasino.com consisting of 62 Slots, 7 Progressive Jackpots, 7 versions of Blackjack, 2 types of Roulette, 1 Table Game and 4 Video Poker titles. The popular IGT issues of Star Trek, Wolf Run and Cleopatra are there, along with Armadillo Artie and Rickety Cricket originals from Cryptologic, now Amaya owned. 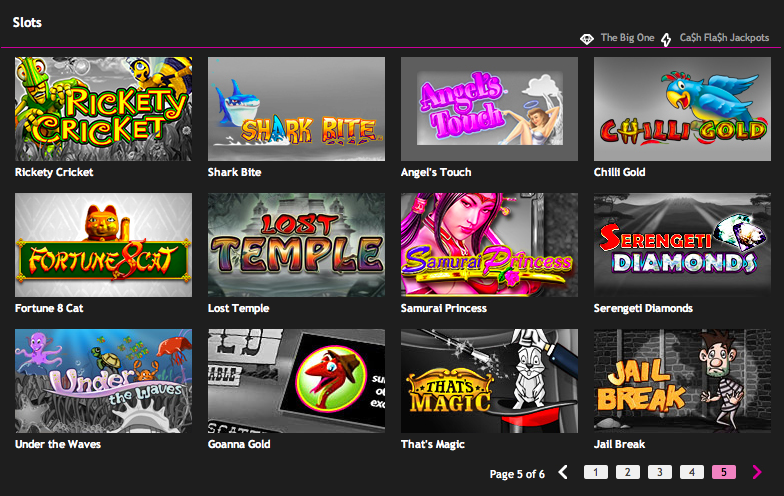 A good selection of bwin.party Slots are available as well, such as Festive Fortunes and Going Nuts to name a few. 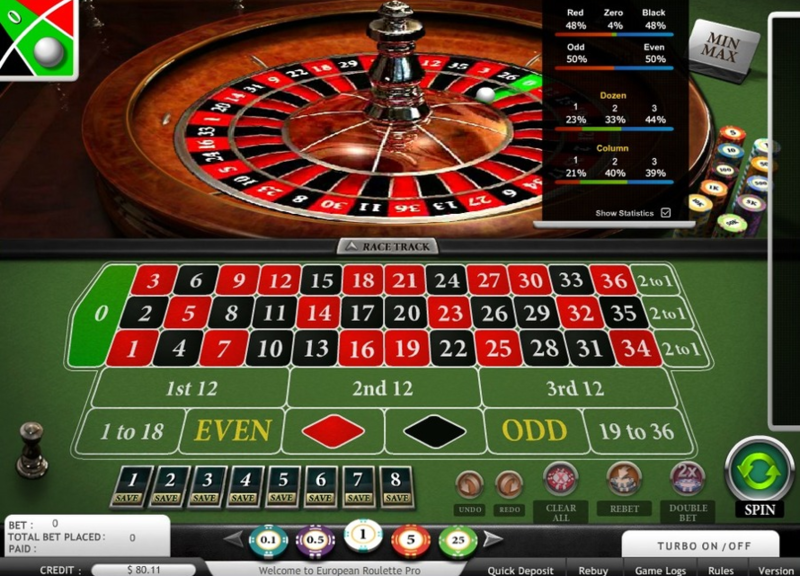 The virtual tables are spreading many live casino favorites, including Roulette, Texas Hold’em Bonus Poker, and a range of Blackjack variants. Video Poker is from the superb IGT GameKing series. 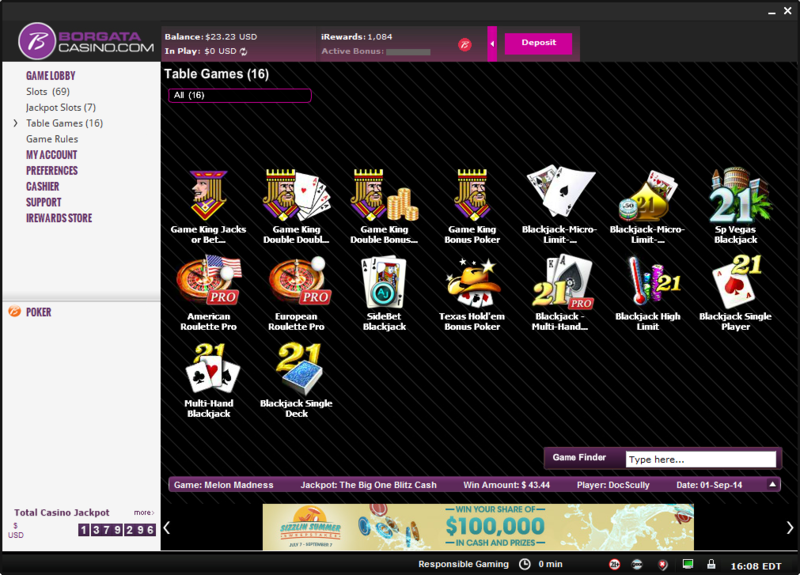 Borgata also offers online poker, which you can access at Borgatapoker.com. 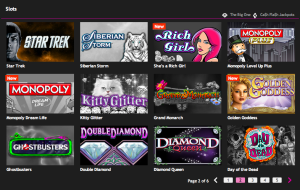 With 62 Slot games on offer, BorgataCasino.com has the largest variety of popular titles, including familiar games you may have played live, like Star Trek or Monopoly, plus countless games with varying paylines and reels. You’ll even find a decent selection of Progressive Jackpots, so you can win big randomly, without even having to trigger a winning combination. If you’re a Slot game aficionado, then you’ll feel like a kid in a candy shop when you enter BorgataCasino’s Slots Lobby, and you’re sure to find a title that satisfies your personal taste. Siberian Storm – This is one Slot game that may have repeat appeal for you, thanks to its unique popular MultiWay Xtra™ wagering, with up to 720 ways to win on this eye-catching hexagonal five-reel interface. Additionally, the game pays in both directions – left-to-right and right-to-left – leading to even more ways to win. Scatter pays and stacks of Wilds make this game a “payout tiger”. Trigger the Free Spins Bonus by getting a Bonus symbol in any position on five consecutive reels. Stacked bonus symbols can multiply your initial 8 free spins by 2x or 4x, or even higher. The Bonus reels are super-rich offering more stacks of wilds, and the chance to retrigger the Bonus multiple times. Be enchanted by Far East beasts, and enjoy the rich adventure of Siberian Storm™. Star Trek – If you’re a “Trekkie” from way back, you’ll appreciate this online Slot, now available at BorgataCasino.com! Blast off into outer space, and travel through 30 paylines of sci-fi action, and four futuristic Free Spins bonuses, each based on your favorite STAR TREK™ movie characters. Even if you’re not a fan of the Star Trek TV series or film, this is a game worth some of your playtime, purely for the rewards it offers. It has several bonus rounds and stacked wild features that enable you to win more credits during play. There are four unique bonus features that are exclusive to the IGT Star Trek game, one each for the main characters who star in this Slot game. You can trigger an Officer Bonus with two Bonus symbols anywhere on the second and third reels, and then the appropriate Officer Bonus symbol (Kirk Bonus Symbol, Spock Bonus Symbol, Uhura Bonus Symbol or Scotty Bonus Symbol) anywhere on the fourth reel. Kirk’s Bonus – Earn up to 6 free spins, and your winnings are tripled each time you get a winning combination. This free spin feature can be retriggered during the bonus round, allowing you to win as many as 250 free spins. Spock’s Bonus – This bonus, with the punch line “be prepared to be emotionally compromised”, increases the appearance of wild symbols during the free spins, enabling you to win more free spins and credits in the process. Uhura’s Bonus – In this bonus, the free credits you win are increased with the appearance of extra wild and scatter symbols. Scotty’s Bonus – This offers you a minimum of 10 free spins, and up to x the winnings. The multiplier size is doubled after the first five spins, which means you can potentially win more in this bonus round. That’s Magic – This 5-reel 30 payline Slot is one of the more unusual types of Slot games with plenty of winning opportunities and a high return to player payout. The That’s Magic bonus feature game is triggered when three or more scattered Magician symbols appear anywhere on the reels. 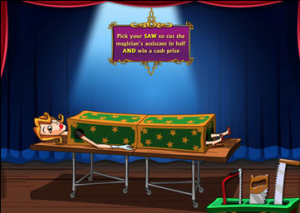 The feature game gives you one of three magic trick games – either Magic Hat, Card Picking or Saw A Woman In Half – which each give you more chances to win some extra cash. If you’re someone who marvels at the miracles of mind-bending tricks, and you adore all the clichés surrounding the art of magic – think bunnies being pulled out of top hats and magic wands making caged birds disappear and reappear – then abracadabra…you’ll love That’s Magic! Treasures of Troy – Before the Colin Farrell movie “Alexander” flopped at the box office and flawed the sacred name of the city of Troy, the tale of the famous Trojan War was one of the best known Greek myths of all time. Putting aside Farrell’s lackluster showing, one Slot game that returns a little royal shine to the story is Treasures of Troy. This seems to award its Bonus games regularly, giving you plenty of additional winning chances when you are playing this 40 paylines plus 1024 MultiWay Pays™ Slot title. Each payline costs one coin to play, and you can activate the 1024 Ways by betting 40 extra coins. 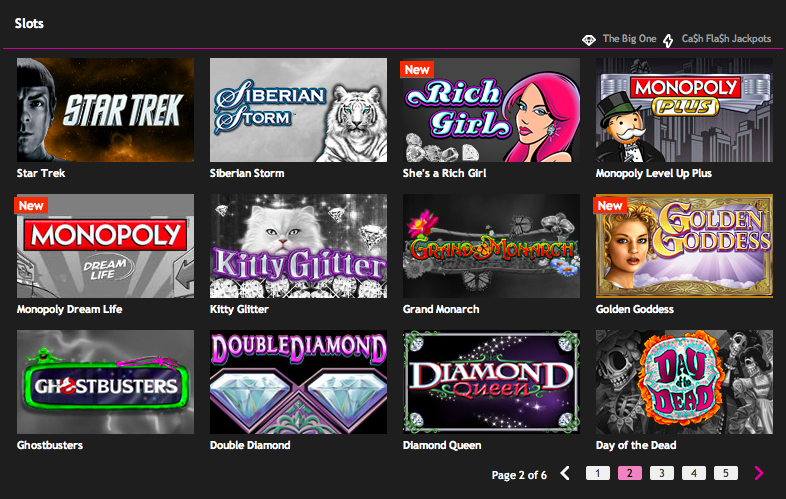 Get two or more Bonus symbols and storm the city of Troy in the Free Spins Bonus. Enjoy 10, 15, or 20 free spins on extra-rich bonus reels with the opportunity to retrigger the bonus multiple times. Some of the graphics and animations give a nod to the A-list of mythology’s epic battle of Troy, including the Trojan Horse, Jason and the Argonauts, Paris, Menelaus, Achilles, and Helen of Troy, who gives you a shout of praise every time you win…big or small, to Helen it doesn’t matter, as she’ll be equally encouraging no matter what size your good fortune happens to be! 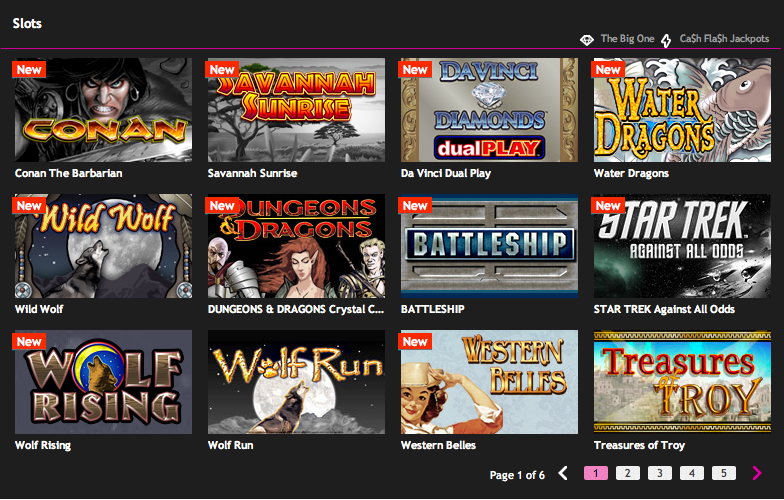 The Treasures of Troy Slot allows players of all different types to get involved. In fact, it offers bet values of $0.01 to $5.00 per line. This means that both high stakes and low stakes players can get involved. Whichever camp you fall into, if you’re lucky enough, you’ll be on the road to epic riches, and the gods of Mt Olympus will favor you with divine wealth! Or at least you’ll have some fun, and earn a few dollars for your time. Wolf Run – This Slot game is immediately recognizable if you have ever visited a live casino in New Jersey, and it’s now available to play online with exactly the same playing structure and bonus game features as its land-based relative! It features 40 paylines. The stacked wilds feature on every reel, and getting the Bonus symbol on reels 2, 3 and 4 simultaneously triggers the free spins feature. You get rewarded with 5 free spins, which doesn’t sound like much, but with extra stacked wilds thrown in for good measure, there’s still potential for good hits. Invoke the spirits of the wild outdoors if you choose to play the Native-American themed Wolf Run Slot game, which is also found online at CaesarsCasino.com. 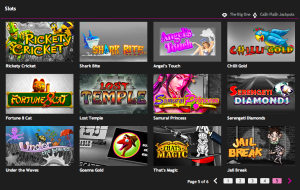 Overall, the lineup of Slot games at BorgataCasino.com is a standout amongst its New Jersey competitors, and many of its titles currently can only be found here. 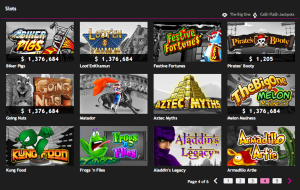 BorgataCasino.com has you covered with an impressive Slots selection of old favorites, and games that are destined to become new ones. The idea of winning big at any tick of the clock can be an adrenaline rush, and with BorgataCasino’s Progressive Jackpots, there’s a real possibility of a fairytale actually coming true! This online casino uniquely offers two different groups of jackpot progressives. “The Big One” features five different levels of progressive jackpots starting with the biggie at the top “Colossal Cash”, which can exceed $1 million, followed by “Mega Cash”, “Super Cash”, “Quick Cash”, and “Blitz Cash” jackpots. The lower three hit frequently, with the Blitz Cash and Quick Cash hitting multiple times per day. The Mega Cash has hit once so far, in January 2014, with user “LordNorton17″ winning an awesome $153,000. To date, no player has yet hit the 7-figure top jackpot. All five jackpots grow progressively as bets are made. For each spin, the house adds a small credit to the five running jackpots. Any of the The Big One Jackpots can be won at random, irrespective of hitting any winning combination, while betting any amount. 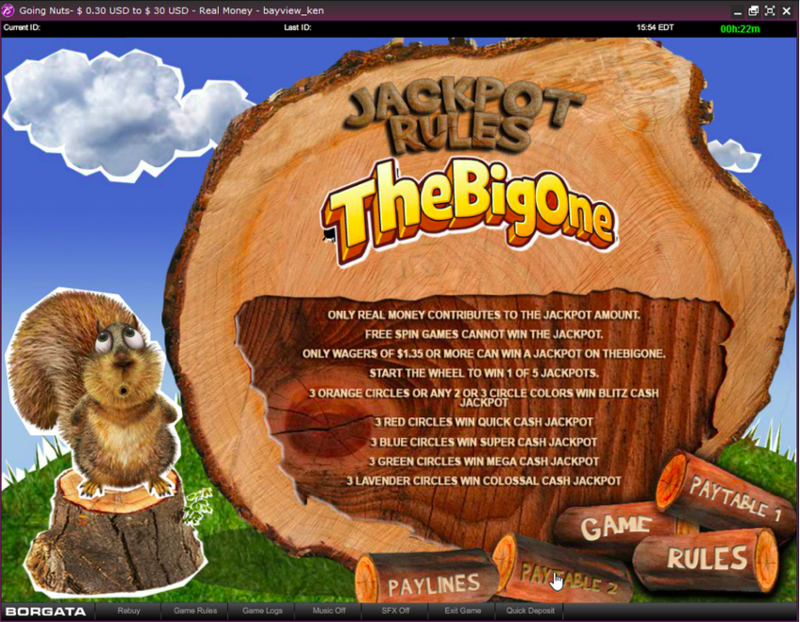 Only wagers of $1.35 or more can win a jackpot on The Big One. Biker Pigs – A 5-reel 50 payline Jackpot Slot game with The Biker Pigs Free Spins feature. 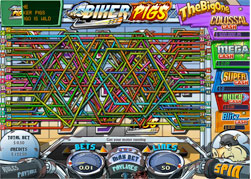 When 3 or more scattered Bike symbols appear anywhere in view, the player is required to choose one scattered Bike, which reveals the number of free spins and multiplier awarded. The Biker Pigs Free Spins feature can retrigger more free spins. 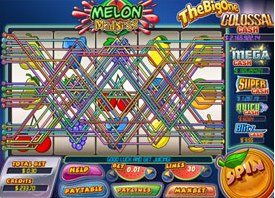 Melon Madness – A 5-reel 30 payline Jackpot Slot game with a Free Spins feature. When 3 or more scattered Bell symbols appear anywhere in view, the player is required to choose one scattered Bell, which reveals the free spin count and multiplier value. The Free Spins feature cannot be retriggered within free spins. 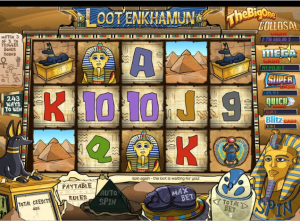 Loot’EnKhamun – A 5-reel no paylines and “All Ways” Slot game with 243 possible ways to win in the main game, and 1024 Ways to win in Free Spins. It’s an ancient Egyptian themed Slot, and symbols pay from left to right in consecutive combinations (Ways) including reel 1. The scattered hieroglyphic symbols do not pay. 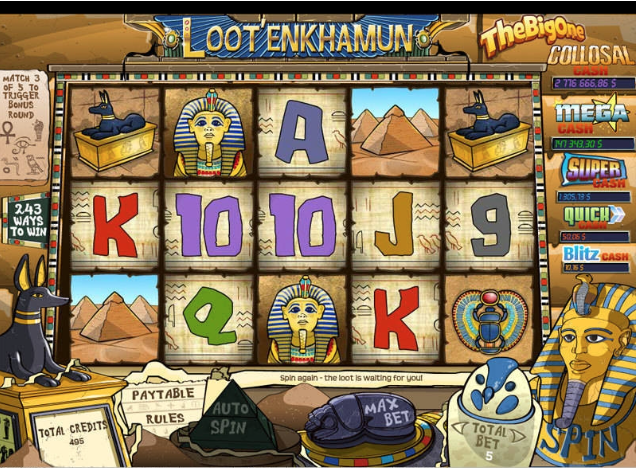 When any three of the hieroglyphic scatter symbols appear anywhere in view, the The Loot’en-Khamun Free Spins game is triggered. The free spins feature cannot be retriggered within free spins. Loot’EnKhamun Logo wild symbol substitutes for all other symbols except scattered hieroglyphic symbols and appears on reels 1,2,3 and 4 only on the base game. The minimum wager here is $0.20, while the maximum is $500. Going Nuts – A 5-reel 30 payline Jackpot Slot game with a Free Spins feature. 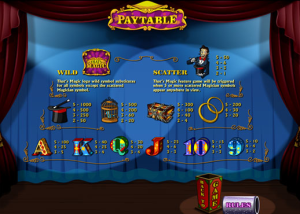 When 3 or more scattered Going Nuts logos appear anywhere in view, the feature screen is displayed where the player is required to click on a random number of acorns, each of which reveals a random number of free spins or a random free spins multiplier. The Free Spins feature cannot be retriggered within free spins. Any time you bet at least $1.35 on a spin, you have a chance to win any of the five “The Big One” jackpots. Another “quick hit” progressive jackpot available at BorgataCasino.com is called Ca$h Fla$h, which grows progressively as bets are made. The house adds a small credit to the running jackpot total for each spin, on all of the three Ca$h Fla$h Jackpot games. Ca$h Fla$h Jackpots can be won irrespective of hitting any paying or non-paying combination, and while betting any amount. The reset value of Ca$h Fla$h Jackpot is $1,000 and it is won on average every 7 hours. 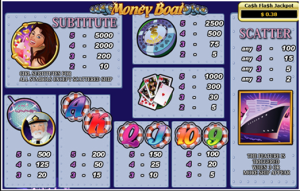 Money Boat – A 5-reel multi-payline Ca$h Fla$h Jackpot Slot game. You win based on the combination of the various symbols displayed on the selected winning payline(s). 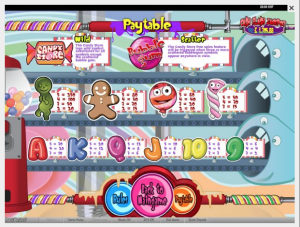 Candy Store – A 5-reel 30 payline Jackpot Slot game with a Free Spins feature. When 3 or more bubblegum scatter symbols land anywhere in view on the reels, a random number of free spins and a free spins multiplier are awarded, and then the scatters blow up and explode, turning other random symbols into bubble gum wilds, except scatters. The turned bubble gum wilds are locked bubblegum wilds during the free spins. The Free Spins feature can be retriggered within free spins. One thing to remember in this game is that the reels turn horizontally rather than vertically, making it seem more like a 3 reel Slot machine with a lot of paylines. Pirates’ Booty – A’hoy matey! Jump aboard this five-reel, 50-payline Ca$h Fla$h Jackpot Slot game for your shot at a share of the “Pirate’s Booty” up for grabs. Three or more scattered Ship symbols appearing anywhere on the reels award The Pirates’ Booty feature. You must pick a ship to blow out of the water to win a random number of free spins and free spin multipliers. Once you have been awarded, the ships will fire towards you, ending the feature, and the free spins round will launch. During the free spins, if two or more Ship symbols appear, then The Pirates’ Booty feature is retriggered, and you will once again be given both extra free spins and extra free spin multipliers. 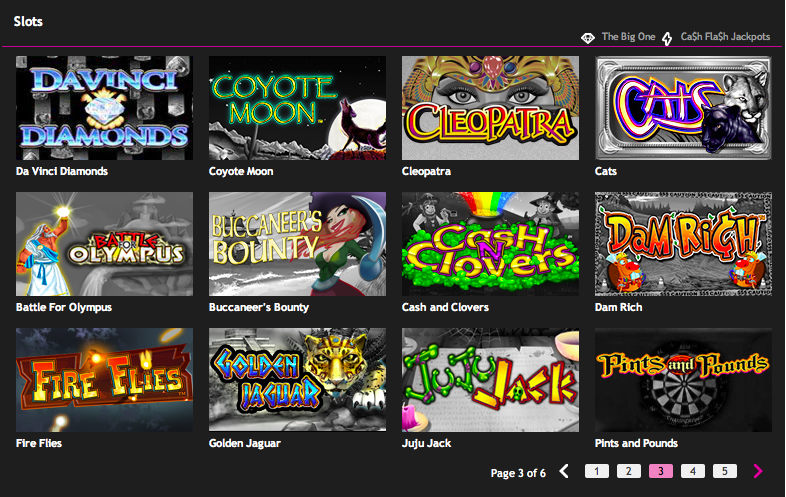 In April 2014, BorgataCasino.com offered 13 table games (including the aforementioned Video Poker titles), so it’s clearly a slow process of growth for this part of their online inventory, with only 3 new titles added since. Hopefully, a class operator such as Borgata will continue to expand their table games portfolio with a little more time and focus than they’ve shown so far, to become even more competitive across all areas of their online casino in the future. In the meantime, they do offer very playable versions of Blackjack and Roulette. 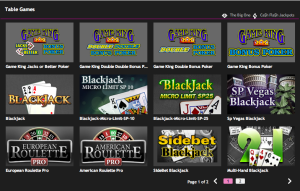 If you’re looking for a good game of Blackjack, there are a total of 9 or 7 different versions (depending on whether you’re in the Download client or in web-browser mode), and several good choices to be found at BorgataCasino.com. The best game for you as the player is Blackjack Single Deck (Download version only). The game uses a single deck of 52 cards, blackjack pays 3:2, the dealer must draw a card on soft 17, you may split only once, and you can only double on 9, 10, or 11. This version of Blackjack has the lowest house edge of all the Blackjack games on offer at BorgataCasino.com, so your allocated bankroll should last longer with this game than elsewhere, plus with a return of 99.65%, it offers a better chance of getting more bang for your buck along the way. The other Blackjack versions aren’t bad, but with 8-deck rules, the return is between 99.39% to 99.45% depending on which game you elect to play. If you’re looking for something a little different, Sidebet Blackjack (available on both Download and web-browser versions) might appeal. It’s a little different to the other variants on offer, allowing you to place an additional sidebet alongside your base game that will activate a range of additional winning payouts which are awarded for certain hand combinations. With five different sidebets available on every hand, it’s easy to go wild here, but it can get expensive really quick. So have fun, but know your limits before you start, and stick with them! Mega Match: If your first two cards are suited you win 2:1. If you and the dealer both get a suited KQ, it pays a big 5000:1. Blackjack Attack: Your blackjack pays 18:1, even if the dealer also has one. Cash Queens: Any two-card 20 pays 2:1 or greater. A suited 20 pays 5:1. A ranked 20 pays 10:1. A pair of Queens pays 50:1. If you get a pair of Queens against a dealer blackjack, it pays 500:1. Crazy 7s: You win if your first card is any 7at 5:1. First two cards are unsuited 7s pays 25:1. First two cards are suited 7s pays 150:1. First three cards unsuited 7s pays 500:1. First three cards are suited 7s pays 2000:1. Pair Play: If your first two cards are a pair, it pays 12:1. Also applies to Splits and Doubles. The rewards are definitely there to be taken advantage of, and if you happen to call on the right sidebet at the opportune time, then the riches are yours to reap! If you still want to heighten the rush factor, then maybe look to the Multi-hand Blackjack versions in the BorgataCasino.com lineup. Bet on up to five hands, one after the other for added excitement. 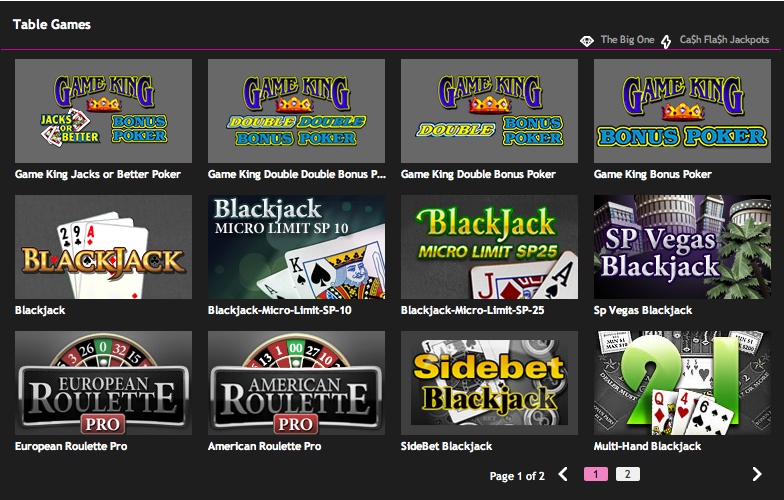 The varieties you can select from are Multi-hand Blackjack and Multi-hand Blackjack Pro. Blackjack still pays 3:2, and Insurance Bet pays 2:1, and Surrender is allowed only on the first two cards, at which time you can select to discontinue play of your hand for that round. If the dealer’s second card results in a Blackjack, your entire bet will be collected by the dealer; If the dealer’s second card does not result in a Blackjack, then one-half of your bet amount will be returned. Whichever Blackjack game you choose, make sure you check out the rules before sitting down at the tables, particularly if it’s a version that you’re unfamiliar with, because it’s easy to get confused from one Blackjack game to the next, and that could be a costly mistake to make. BorgataCasino.com presents two Roulette options: American Roulette Pro, and European Roulette Pro. 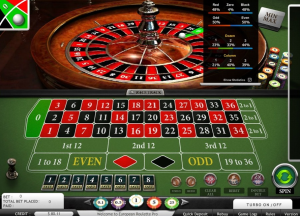 American Roulette Pro – This style of Roulette has two zeros and a minimum bet of $0.02. European Roulette – In this version, the wheel has just one zero. You will receive half of Even Money back when the spinning ball lands on the zero. The minimum bet is $0.10. Playing the European version is probably your best bet at BorgataCasino.com, as it offers better odds than the American or Classic game. At BorgataCasino.com, you’ll only find one table game that isn’t Blackjack or Roulette, and that’s Texas Hold’em Bonus Poker. It’s draws on the popularity of Texas Hold’em, but in this version, the game is Heads Up against the dealer, meaning you compete only against the dealer to see which of you has the best poker hand. You and the dealer are each dealt two hole cards. Five community cards are then dealt. Both you and the dealer can use these cards to make the highest five-card poker hand possible. You’ll win by making a hand ranked higher than the dealer’s hand. Your bonus sidebet is paid out according to the bonus paytable, irrespective of the result of the game. The return to player of the main game is 97.96%. The return to player of the bonus bet is 91.10%. This game is played using a single standard deck of 52 cards with no jokers. BorgataCasino.com has only four different Video Poker titles available for real-money play, but at least they are the quality IGT “Game King” software that look just like the Slot machines you’re used to seeing in live casinos. Jacks or Better – The most popular version of Video Poker with a 99.54% return. Bonus Poker – Enjoy three Four-of-a-Kind bonus payouts, with all low-end pays and 99.17% return. Double Bonus Poker – This game offers richer bonus payouts than Bonus Poker, but with a 99.11% return. Double Double Bonus Poker – Play for 5 bonus payouts with the largest Video Poker multipliers and a very attractive 99.98% return. You can bet anywhere from $0.10 to $50 per hand. NO DEPOSIT BONUS – They’ll give you $20 in Bonus Dollars for free. As soon as you open your new BorgataCasino.com account, your $20 FREE CASH will be immediately credited to your account, and available for you to play. FIRST DEPOSIT BONUS – Make your first deposit using bonus code “FREE” and they’ll match you dollar for dollar up to $100. Upon making your deposit, your free money will be immediately placed into your account and available for you to play. $5K MONTHLY SWEEPSTAKES – From the day you register and for the following three months, every time you log in you’ll automatically receive one free daily entry into a monthly draw for $5,000. That gives you a shot at winning up to $15,000. Want more entries? For every 20 iReward Points (iRPs) earned each day on Slots or Progressive Jackpot Slots, they will also give you one additional entry. To cash out the bonus amount and associated winnings you must complete the wagering requirement. The wagering requirement on $20 FREE, 100% match amount, $5,000 monthly sweeps prize, and all Bonus Dollar prizes is 1x the Bonus amount. For every $1, you must wager $1, and only your play on Slots or Progressive Jackpot Slots count towards the wagering requirement. This particular three-part Welcome Bonus offer is only for a limited time, but expect Borgata to offer a similarly impressive incentives package for new players once this one expires. In each case, the Borgata online casino bonuses are simpler than many of the competing sites, and they do offer real value. Along with the first deposit bonus, Borgata offers an exclusive Online Rewards Program called My Borgata iRewards, designed to reward players for the time they spend online. 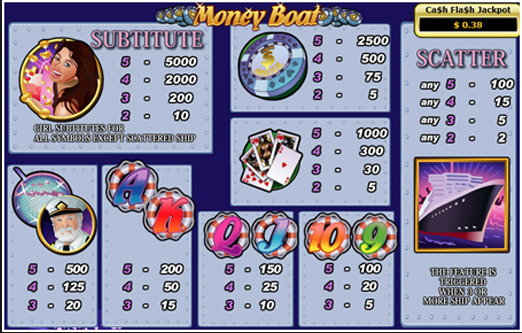 Slot and Comp Dollars based on your play. You’ll make it to the elite and final Tier, Black Label Elite, by earning 15,000 iRP per calendar quarter, which is equivalent to $7,500 in rake. Red Label – You may exchange 100 iReward Points into $5 in comp dollars at Borgata. A $25 casino bonus will be issued in exchange for 2,500 points. A cash award of $25 is issued for 5,000 points. Red Label Plus – If you are part of this Tier, you will receive $5 in comps for every 88 iReward Points. You may request a $25 bonus for every 1,250 points or $25 in cash for every 2,500 points. Silver Label – As a Silver Label player, you may receive a $5 comp at Borgata for 75 iReward Points. A $25 bonus is awarded for 1,250 iRP. A $25 cash bonus may be requested for 1,560 iRP. Black Label – At the VIP Black label level, you may receive $5 in comp dollars for every 72 iRewards Points. Earn a $25 Bonus for 454 iRP, and a $25 cash bonus may be requested for 1,250 iRP. Black Label Elite – At the highest echelon of the Borgatacasino’s Loyalty Program, if you are a member of this VIP group, you will earn $5 in comp dollars for every 66iRewards Points. You will also receive a $25 Bonus for 333iRP, as well as a $25 cash bonus for every 937 iRP. Depending on your Loyalty Tier, you will receive immediate access to specific rewards only available to players within your predetermined Tier. It’s true that BorgataCasino.com offers a play for fun option, and you’re welcome to keep playing it for free for as long as you like. But, the real entertainment kicks in once you’ve made a deposit, and you’ve started to enjoy Borgata’s real-money online gaming options for a shot at some real-life wins! ACH Bank Transfers (preferred) – a secure, convenient online bank transfer method. *Borgata’s top pick for instant deposit success. NETELLER – A simple-to-use pre-paid debit card that is tied to your bank account or credit card. Visa Debit or Credit Card – A fast and easy method to make direct deposits to your account. MasterCard – A fast and easy method to make direct deposits to your account. Borgata Online Prepaid Card – Make instant deposits to your online gaming account via your Borgata Online Prepaid Card, and fund your account using a credit card, debit card, or bank transfer. Log in to your Borgata online gaming account and select Prepaid from the Cashier. *Please note, additional costs and/or fees may be charged by your card issuer. Borgata Cashier– Deposit cash instantly to your online account in person via the cashier window at Borgata Hotel Casino & Spa. You will be required to show proper ID and account information to use this method. Minimum and maximum deposit amounts are not specified on the BorgataCasino.com website, so we suggest you refer to the Cashier in the casino lobby online for additional information. Borgata Cashier – Withdraw funds from your Borgata online gaming account and pick them up at Borgata Hotel Casino & Spa. After receiving your Voucher ID via email, simply present it and your personal ID at the Cashier window to withdraw your funds. Instant Check/Bank Transfer – Provide your bank routing number and account number (printed on the bottom of your personal checks) and the funds you are requesting to be withdrawn will be transferred from your Borgata online gaming account to your bank. Note: There may be a delay if there is still a hold on any funds you’ve recently deposited. Borgata Check By Mail – Select the “Check by Mail” withdrawal option in the Cashier, and a Borgata issued check will be mailed to your address on file. Neteller – Make withdrawals by transferring funds to your Neteller account. Borgata Online Prepaid Card – Make withdrawals from your Borgata online gaming account and instantly transfer funds to the prepaid card. To access your funds, you may use your card at ATMs, or for purchases everywhere Discover is accepted. 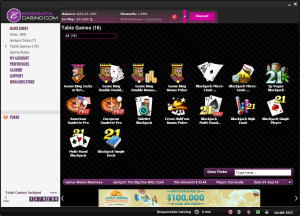 BorgataCasino.com’s download online casino client is accessible on Windows PC and Macs, desktops, tablets, and smartphones. The downloadable software requires 256MB RAM, and takes just a few minutes to install, depending on how fast your Internet connection is. They also offer a “Play in Browser” option, which will allow you to enjoy Borgata’s online casino from anywhere, using your preferred browser, whether it’s a PC or a Mac you’re logged onto. Borgata’s Mobile Gaming is now also fully compatible with Apple and Android mobile devices. Their Apple iOS Wi-Fi deployment was executed in January this year, and they added Android capability a month later, connecting to Wi-Fi and 3G/4G Networks. This means more accessible technology, so that you can play your favorite Borgata online Slots, Progressive Jackpots, Roulette, Blackjack and more on your smartphone or tablet, from anywhere at anytime. That’s the ultimate definition of convenience! 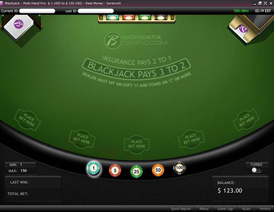 Due to its vigorous identity protection and authentication processes, compliance with regulations implemented by the New Jersey DGE, and partnership with a worldwide leader in the iGaming industry, BorgataCasino.com can be considered a trustworthy Internet gaming site. It meets the highest security standards in the industry, with a multi-level security system, multiple firewalls, and 128-bit SSL encryption. Early-warning systems in the form of limits on unusually high stakes and winnings prevent manipulation and other fraudulent activities at an early stage. The Borgata has also implemented an additional layer of player protection called Strong Authentication. Every time you try to access your account, a one-time password is sent to your registered email. This one-time password is needed in addition to your normal password in order to gain access. All player funds must be held separate, and exclusively available at all times in a New Jersey-based bank account. In addition, the Borgata online casino operates with strict regulatory oversight, and a set of Responsible Gaming policies and procedures in place for the protection of minors. It also provides several controls to help customers play within their self-imposed personal deposit, time, and wager limits, including self-exclusion measures. Check the BorgataCasino.com website for their complete Responsible Gaming framework. You may also browse their online FAQs section, which offers a large number of general and more specific facts, as well as answers to questions that arise most often amongst their players. BorgataCasino.com offers some nice games, quality software, and responsive and attractive game play. The option to either download their software, or to access their instant play web-browser based version is also a bonus. As mobile gaming is becoming more widespread amongst online casino users, their compatibility with Apple and Android mobile devices is also an appealing and quite necessary feature. go-to interest, there may be better places to play – BetfairCasino.com for example, or HarrahsCasino.com if it’s Roulette you’re drawn to. 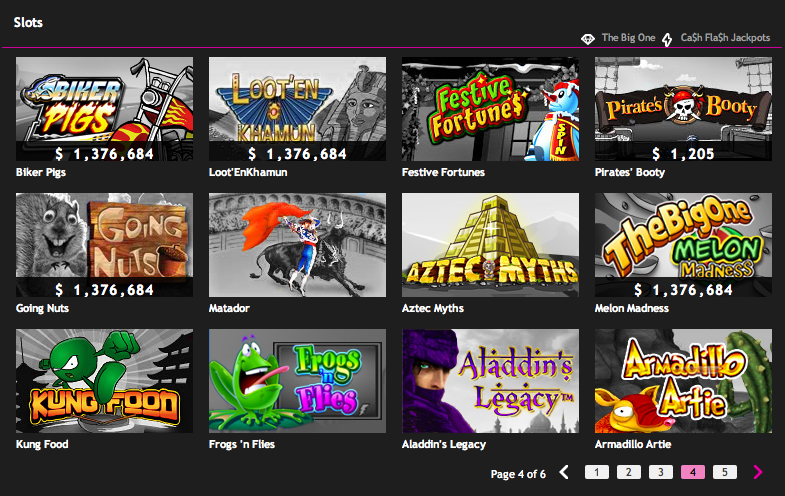 Borgata’s market lead is due almost entirely to their huge Slot game selection. If you consider yourself more of a Slots player than anything else, then you’ll most likely love BorgataCasino.com. Their Bonuses are also skewed more towards you than Table Games enthusiasts too; only Slots and Progressive Jackpot Slots gameplay counts towards the wagering requirements when it comes to cashing out that Bonus money. Bear that in mind if you lean towards Blackjack and Video Poker games, or risk disappointment when you front the Cashier, only to discover that you haven’t yet met the 1x wagering requirement to be eligible to withdraw those bonus dollars! You’ll also earn more iReward Points for spending less on the Slots than across at Table Games. So, play at the BorgataCasino.com if you are on the hunt for the largest selection of Slots titles in New Jersey all at your fingertips. This is one Online Casino where you’ll definitely be rewarded handsomely for being a Slots player. However, for BorgataCasino.com to be competitive long-term in New Jersey, we think they will need to up the ante on their Table Games and Video Poker offering…so stay tuned for more developments there, as they respond to market demands.